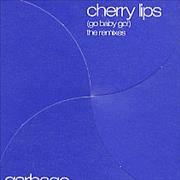 Garbage began life as an informal jam session between legendary producers Duke Erikson, Steve Marker and the producer of Nirvana’s groundbreaking 'Nevermind', Butch Vig. 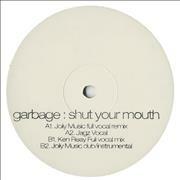 Soon after recruiting Scottish vocalist Shirley Manson, they released their eponymous first album appeared in 1995 and after receiving support from radio and MTV, the album began to climb the charts. By the summer of 1996, the album achieved platinum status thanks to the superb singles 'Only Happy When It Rains' and 'Stupid Girl'. 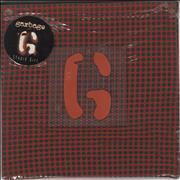 After a brief break, Garbage began work on their second album in the summer of 1997. The record, entitled 'Version 2.0' was released in May the following year. 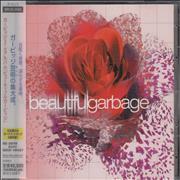 Four years later, they issued a sophisticated third album, 'Beautiful Garbage', and thanks to the lead single 'Androgyny' it became a best seller around the world. The band returned with the critically acclaimed album 'Bleed Like Me' in the Spring of 2005. Despite the long gaps between records the bands huge fan base has never diminished and they wait with baited breath for every new release. With early vinyl and promos always highly sought after by fans and collectors alike you’ll find no shortage of back catalogue rarities, amazing memorabilia and quality collectibles, all available right here in our specialist Garbage collectors store.